Teresa DesJardien is one of our industry's most prolific Regency romance authors and to date has received two Romantic Times Reviewer's Choice Nominations and three Regency Rake of the Month Awards. 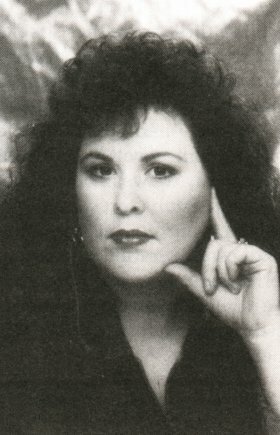 Teresa also won the 1997 Emerald City Conference "Keeper" Award, Regency category. Teresa has been penning stories ever since she could write sentences, and always with a romantic angle to those tales. Combining her romantic leanings, her irresistible need to write and her fascination with England and things past, it's only logical that she would gravitate toward writing Regency romances. Teresa's husband is the force that influenced her decision to write professionally. One day he leaned over her shoulder and asked why she bothered to write stories if she was never going to submit them to a publisher. Such a "non-artiste" question annoyed her, and so, just to annoy him back, she went to the trouble of producing a complete manuscript and mailing it out to a publisher. Three manuscripts later, Zebra Books bought A June Bride and the rest is history. Q. As one of the industry's most prolific Regency romance writers, can you tell readers how you keep coming up with fresh, new ideas for Regencies? A.The glory of Regencies is in the depth of character study they allow. Since I am so keenly interested in what motivates people in general, it seems there is always some stimulus to prompt the next story idea. It may come from the pages of a research book, or a snippet of song, or a news story, or a scene viewed in a mall! So many situations apply even in historical settings, because although technology has advanced, human emotions and responses have remained largely the same over the centuries. Q. Have you learned anything particularly unusual about the British Regency period that you can share with readers? Pineapple was commonly seen at dinner parties, as its presence was an unspoken sign of prosperity. Only the sovereign was allowed to wear the black tails of ermine on his white robes (although peers were allowed black spots, their number and pattern denoting their rank). Lord Byron was heard to belittle the art of dancing, but most probably because he had been born with a club foot. Q. Of all of your characters, which hero or heroine has been your favorite and why? A. One of my earliest books ("The Marriage Mart", 1992) has a hero named Godfrey, who was modeled a bit on my husband but who also had things of his own he wanted to say. Godfrey was one of those characters who seems to write himself, and I enjoyed his "voice" in the letters he penned to the heroine. But I have a real soft spot for the hero of my Signet Regency ("The Reluctant Smuggler") that is coming out in February, 2001; his name is Sebastian. He thinks he's a bad boy, but he's really a softy underneath a necessarily gruff exteriour. He, too, had a voice of his own, making the writing of his story a great deal of fun for me. Q. What do you think of the revival of Jane Austen's books and have they influenced the Regency romance market? A. It is a thrill to see these books now so widely hailed as literary (and cinematic) gems, which of course they are. I have long felt the power and pull of the Regency era novels come from their ability to tweak our collective pretensions, presumptions, and even our consciences, and Ms. Austen's novels do that to perfection. It is my hope that the attention given her works lead new readers to try this special genre. Teresa lives in the beautiful Pacific Norhtwest, where she dwells in suburban domestic bliss with her husband, two children and one cat. She enjoys hearing from her fans. You may write her at: P.O. 33323, Seattle, WA 98133.